Having an antivirus software on your Windows 10 is quite important. However, it seems that Norton antivirus has a strange conflict with Windows 10. If you are a Norton user and you have issues with it on Windows 10 you might want to have a look at our solutions. According to users that have Norton Security installed on Windows 10 they are unable to receive Insider updates. As you can see, this is a huge problem because it can leave your system vulnerable and at the same time, you won’t be able to try new features that Microsoft is planning to introduce. Speaking of issues, Norton Security has already caused some issues with Windows 10 users, such as preventing them from upgrading to Windows 10 in the first place. This is probably due to some compatibility issues that Norton Security has with Windows 10, but is there a way to fix this? At the moment Norton isn’t working with the Insider program, so you won’t be able to download Insider updates while having Norton Security installed. The only solution so far is to completely remove Norton Security from your Windows 10. On the other hand, Norton works well with non-Insider version, so if you want to continue using Windows 10 with Norton Security just leave the Insider program. 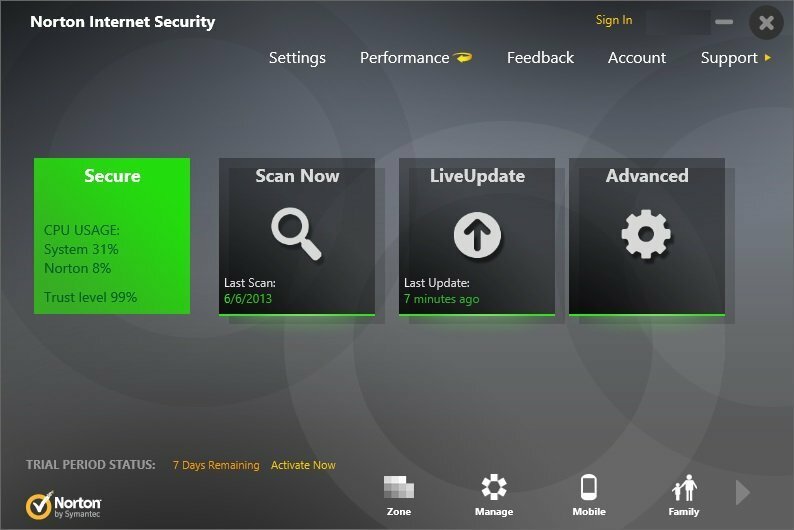 If you want to continue being part of Insider program, then you’ll have to uninstall Norton Security and switch to a different antivirus program. Users suggest using Windows Defender in a combination with MalwareBytes, but if you want more protection you can switch to antivirus software such as ESET Security that works with Insider program. As you can see, this can be quite a problem. Fortunately, it can be resolved by uninstalling Norton Security and switching to a different antivirus software. For example, you can rely on Windows Defender instead. As a quick reminder, antivirus solutions closely work with Windows 10 and requite in-depth access to the heart of the OS. Antivirus developers simply cannot keep up with the rhythm Microsoft rolls out new Insider builds. Therefore, they cannot test their products in relation with Microsoft’s latest Windows 10 Insider build version. For this reason, new Insider builds tend to break your antivirus leaving your computer vulnerable to threats. Again, the best approach is to use Windows Defender while you’re enrolled in the Insider Program.